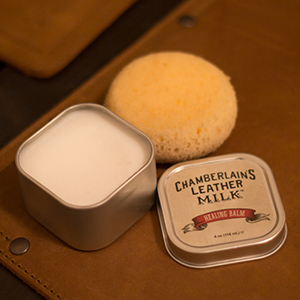 Concocted from the finest, most meticulously selected ingredients, ranging from cosmetic grade adhesives to deeply conditioning oils and waxes, Chamberlain’s new Leather Milk Healing Balm may be the most intense leather healing remedy on the market yet. Unlike ordinary conditioners, Healing Balm is made especially for aesthetic work, designed for detail and touch up work for leather that’s seen better days. Whether your leather is plagued by scratches, scars, light cracks in the hide, or is just really, really thirsty – Healing Balm will milk it back from its rut with form. Carefully optimized to preserve glossy and shiny finishes, this all-natural, curating potion will enrich the color and vibrancy of your leather, and beautify for years to come. Brewed to perfection with all-natural ingredients and an optimal pH-balanced recipe, this leather conditioner stands out from the crowd for its distinctive style: a rich, pasty consistency laced with scent of tropical coconut. This subtle sensation lasts only as long as the conditioner takes to absorb, and will not affect your leather’s natural scents – we’re as big a fan of them as you are! All the while, Healing Balm is earth conscious and made with cosmetic grade ingredients, completely natural and safe for human skin. Is Leather Liniment No. 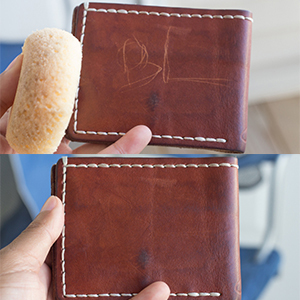 1 right for my leather? Healing Balm is in its element when it is giving new life to worn out leather and mending together an unsightly scratch or scar. 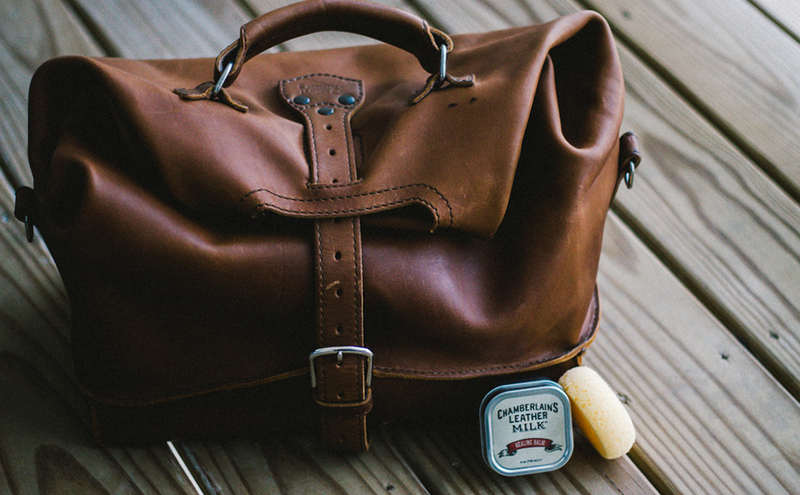 If you’ve got a old leather handbag you’d like to furnish with a few stubborn scrapes, or a worn out couch that’s cracked at the surface from neglect – Leather Healing Balm is the precision fixer-upper you need.